The word gelato translates to ice cream in English, but anyone who has ever appreciated real Italian gelato knows that it is entirely different from a standard ice cream. There are some differences between gelato and ice cream that are apparent just by looking at it, such as how much lighter and fluffier gelato looks compared to regular ice cream, but much of why gelato is the way it is has to do with the traditional way in which it’s made. The most important aspect of making gelato, like any food in Italy, is that it’s made with love. The first technical step to gelato making begins with a hot process that acts as a pasteurization tool. Gelato is produced using milk cream as opposed to the heavy cream used to make ice cream. 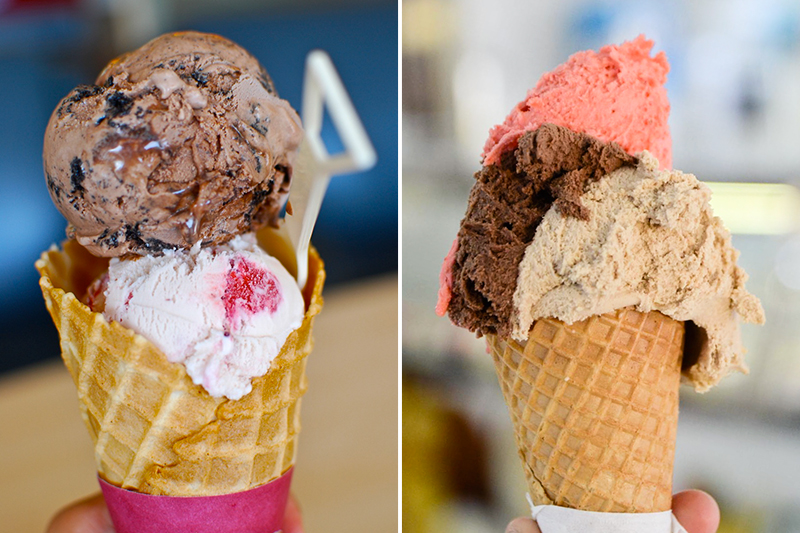 The difference in cream type is a large contributor to the difference in gelato’s consistency. During the production process, less air is pumped into the mixture than is into normal ice cream, which makes gelato more flavorful as a result of higher ingredient density. The lower air content also means that the serving temperature of gelato is warmer than it is for ice cream, resulting in a texture that is smother and more creamy. There are a few different types of establishments that sell gelato in Italy. Depending on the place, the method of payment for gelato also varies. 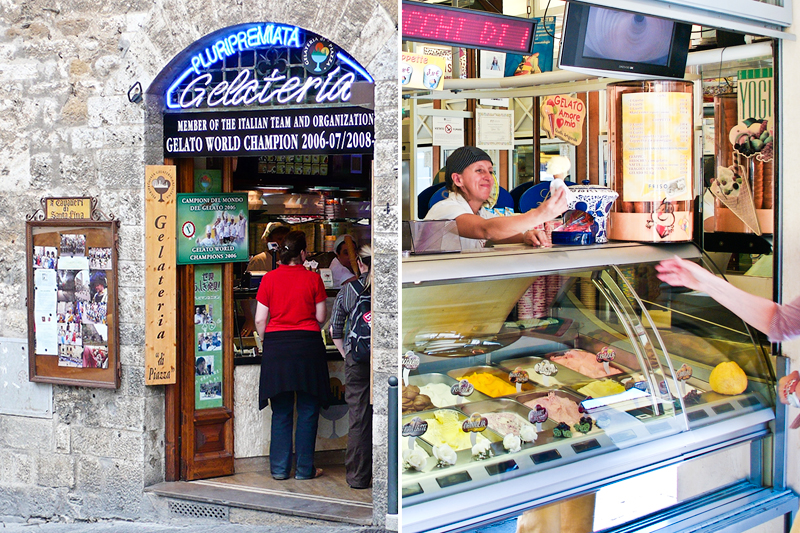 In major cities, there are always four or five gelaterias on the main corso. 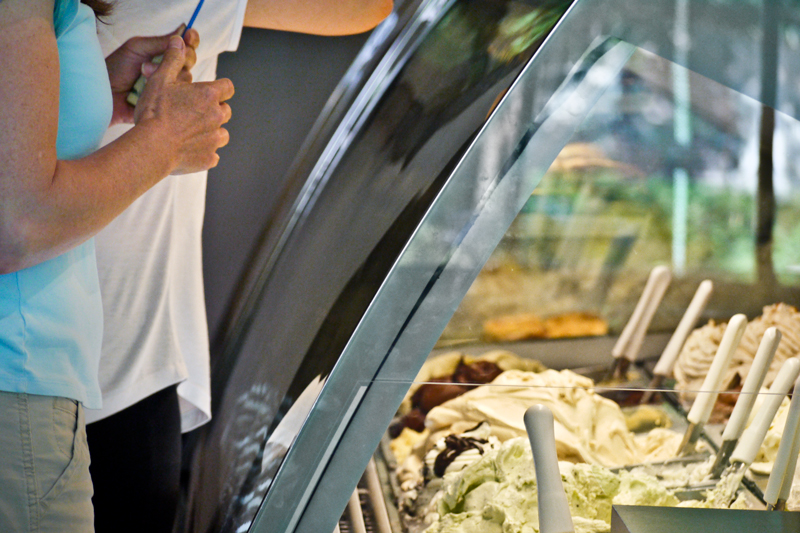 Most gelaterias display their gelato in a window which doubles as a counter, making it easy for you to pass by and grab a cone or cup of heavenly cream. When this is the case, you simply walk up to the counter, order your gelato and exchange the money as your gelato is handed over. There are, however, many bars that double as gelaterias, especially in vacation areas and near the beaches. Most of these bars have a separate register that is located away from the gelato counter and, before you order your gelato, you must pay at that register. This effectively means that, when the bar is busy, you will have to wait in two lines. But don’t worry, even on the busiest days you’ll never wait for more than about 10 minutes, and lines are generally a good sign, it means the gelato is worth waiting for! When you order and pay for your gelato separately, you should tell the person at the register if you prefer a cup or a cone and what size you’d like. They will take your money and give you a receipt. Once you have your receipt, hold onto it and head over to the gelato counter. Give the barista your receipt and tell them which flavors you would like, or if you aren’t sure, you can ask to try a couple of things before choosing. 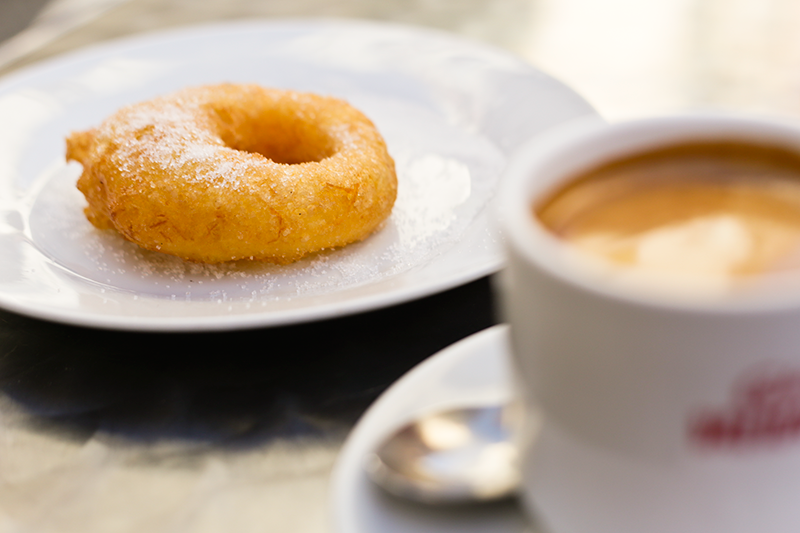 The barista will serve your gelato, pass it over the counter, and then all you have to do is enjoy your frozen treat! Unfortunately for many travelers, most of the very best gelaterias in Italy go undiscovered by visitors as they are found off the beaten path or in smaller towns, run by artisans who have dedicated their lives to the art of gelato making. At most of these places, English is not spoken, which is really unhelpful for those wanting to try some truly artisan gelato who don’t speak a lick of Italian. Although most people working in the service industry in Italy know some basic English words that apply to their business, it’s a good idea for you to learn some vocabulary in Italian so you can order with confidence if you do manage to find a diamond-in-the-rough Italian gelateria. 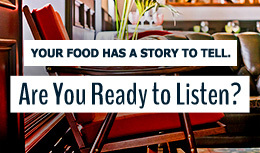 A phrase to be on the lookout for is fatta in casa. This phrase signifies that the gelato at that gelateria is made fresh and on-site every day; in fact, it’s against Italian law to post a sign saying fatta in casa unless that is the case. 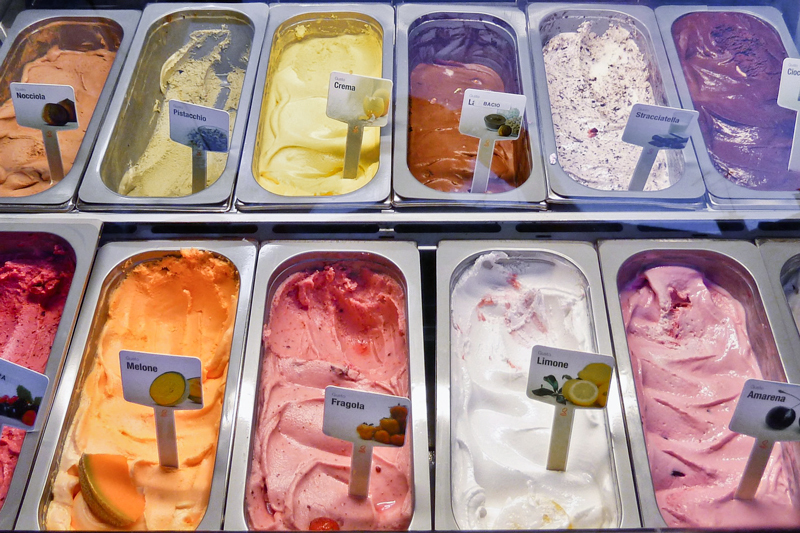 The first thing you will be asked when you order gelato is coppa o cono?, cup or cone? 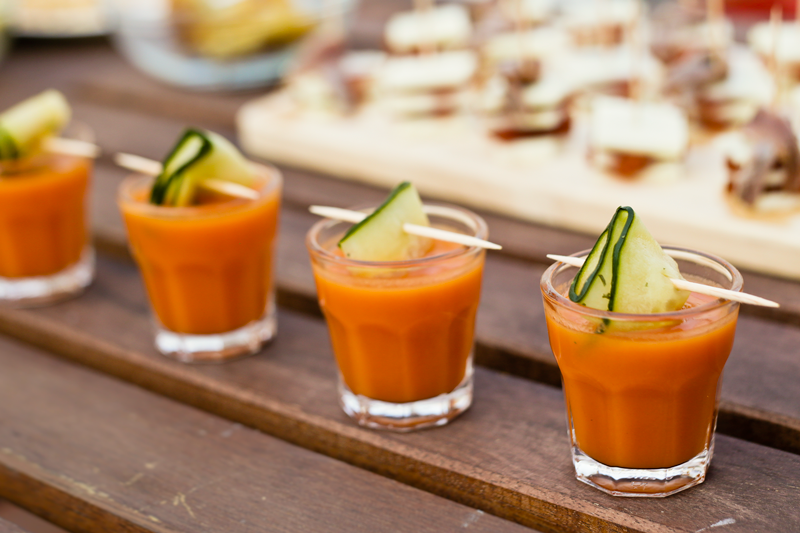 Almost all gelaterias will have three or four different sizes of cups, but usually not more than one or two choices of cones. Pay attention to the number of scoops that correspond to each cup or cone size; most gelaterias have a board above the counter with illustrations showing how many scoops you get for each. Why is this important? Because you are expected to choose a different flavor for each scoop! It is rare that Italians ask for the same flavor for more than one scoop. In fact, a barista will know with certainty that you are not a local if you select a size that comes with multiple scoops but only choose one flavor. If you do decide to stick with several scoops of the same flavor, you will probably get a strange look or two, and if you discover a really authentic gelateria, the person taking your order might think they misunderstood what you are ordering. These are some of the most popular flavors, although among these you will find many, many more, including specialties unique to individual gelaterias. 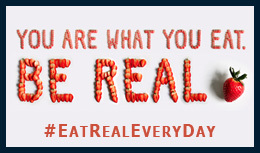 A good example of this is a flavor called Puffo, which means “Smurf”. 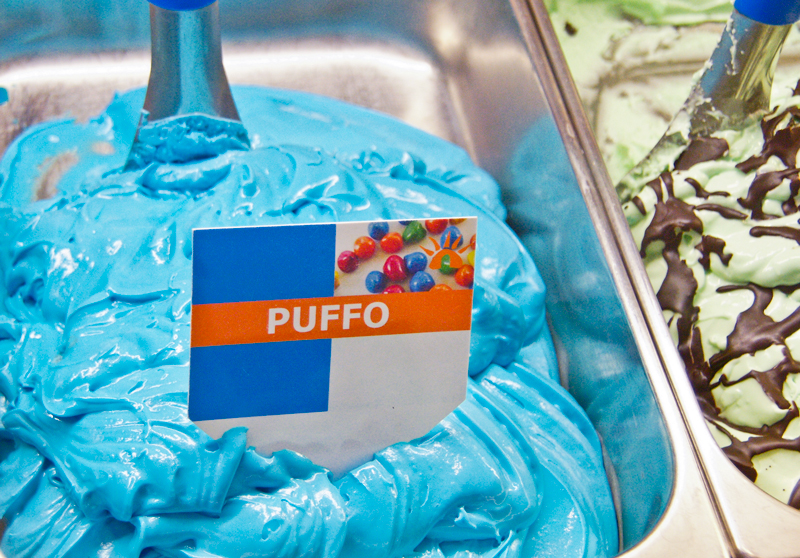 Puffo is not offered in all gelaterias and, strangely, when it is available, it can represent a variety of flavors rather than always indicate the same thing. Some people have reported Puffo to taste like anise or licorice, others bubble gum, and others still blue raspberry. Some people really like Puffo, and others not so much. 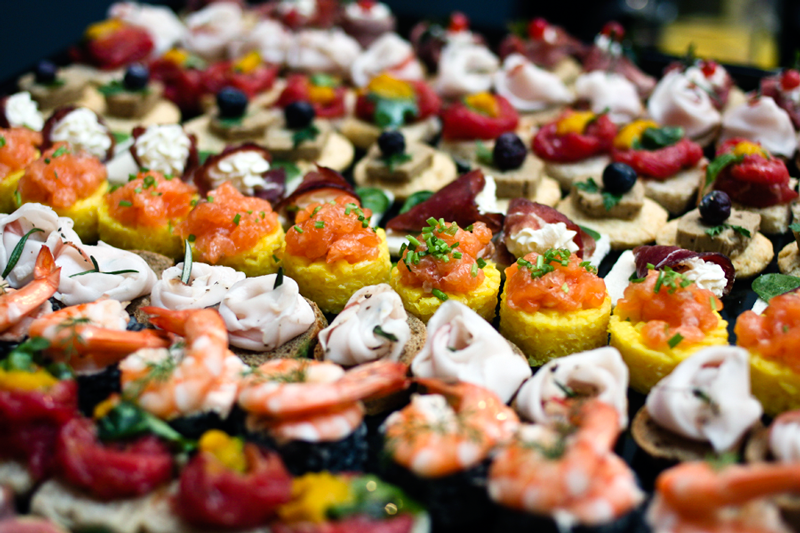 Whatever flavors you happen to encounter at a gelateria, feel free to ask for a sample before diving in and ordering! 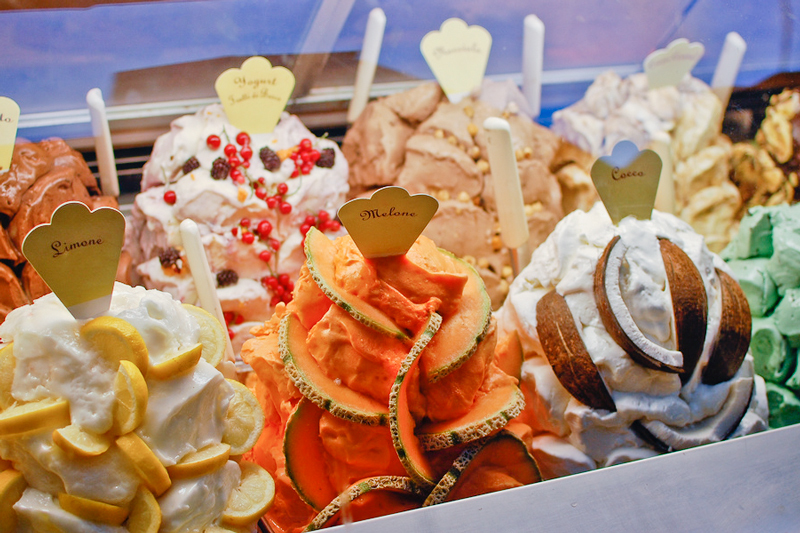 As far as we’re concerned, gelato is one of the biggest tourist attractors that Italy has. I mean, how many times have you heard someone advise to “Eat lots of gelato!” or “Have a gelato for me!” upon finding out that someone they knew was traveling to Italy? Gelato has become so popular that businesses emulate it in different countries. Is it the same? Almost always, the answer is no, not exactly. The fact that so many people try to replicate traditional gelato production techniques shows that it is held in high esteem worldwide. Like anything that becomes popular or trendy, businesses have hopped on the proverbial bandwagon and take shortcuts in making gelato to meet their bottom line and stay competitive. As a result, there are now many gelaterias that produce their gelato using chemicals and artificial flavors to save on production cost. Fortunately, the difference between good and bad gelato is easily identified just by looking. The very best gelati do not include artificial flavoring, but because artificial flavors are cheap, there are many gelaterias that use them. 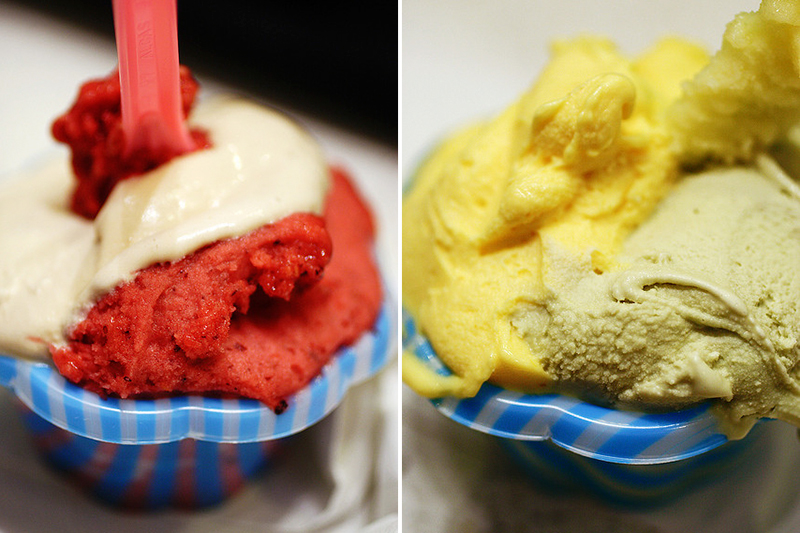 To tell which gelaterias use artificial flavors, simply look at their sorbetti. Any fruit flavored gelato should be the color of the fruit itself when crushed and blended, this means that banana will look a little grayish and pale, rather than bright yellow. Frutti di bosco should be a deep purplish pink color, not bright red. Green apple will be nearly white, not bright green. The color rule also applies to nut-flavored gelati; pistachio will not be bright green but a much deeper and less appetizing color, but don’t worry, that’s a good thing! 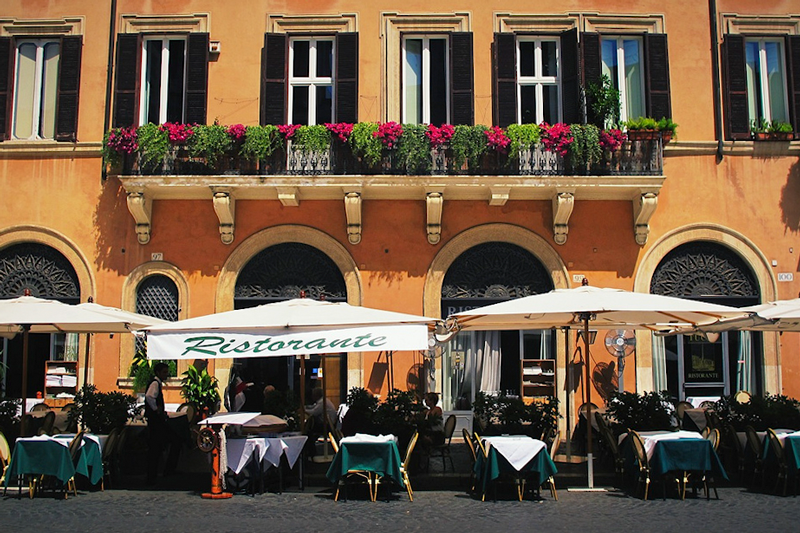 While strolling the main corso of a popular Italian destination, you will see tons of gelaterias with their windows open, showing off rolling mounds of gelato. This certainly looks appealing, and it does its job to attract tourists, but to create the volume found in this type of gelato, a coagulating agent is added in with the ingredients. Not only is this unnatural but the chemicals alter the flavor of the delicate cream. An all-natural gelato should be lying flat in metal bins, and sometimes will even be covered with a metal lid for preservation. Metal bins do a better job of maintaining the temperature of gelato, so if you see plastic bins, it’s a sign that the gelato probably contains stabilizers that help keep it from melting. Gelato should always be served with a small paddle, not a spoon. Spoon scoopers, tall gelato mounds in plastic bins and bright, fake colors are all telltale signs of an industrial gelateria. If you’ve tried this kind of “fake” gelato, you would probably agree that there is no such thing as ‘bad’ gelato, but if you compare chemical-infused gelato to the real thing, there will be no doubt in your mind that the later is the version that people rave about when returning from Italy. Have you tried gelato in Italy? Tweet us or find us on facebook to share your favorite gelato flavor pairings!